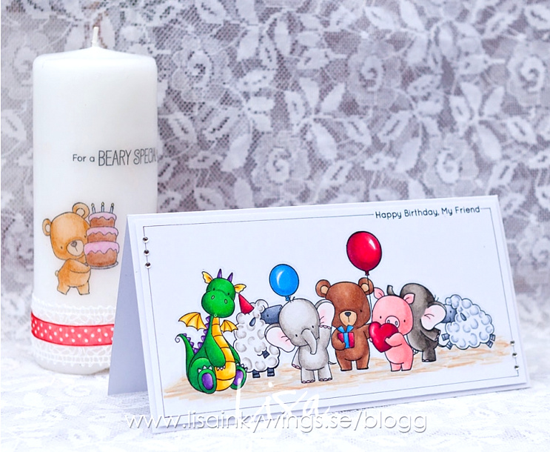 Lisa's adorable card was entry 126 in our Card Design Superstar Contest, and what an adorable menagerie she created with five different Birdie Brown stamp sets. And that candle is just too cute for words! Marcie's eye-popping card was entry 218 in our Card Design Superstar Contest. 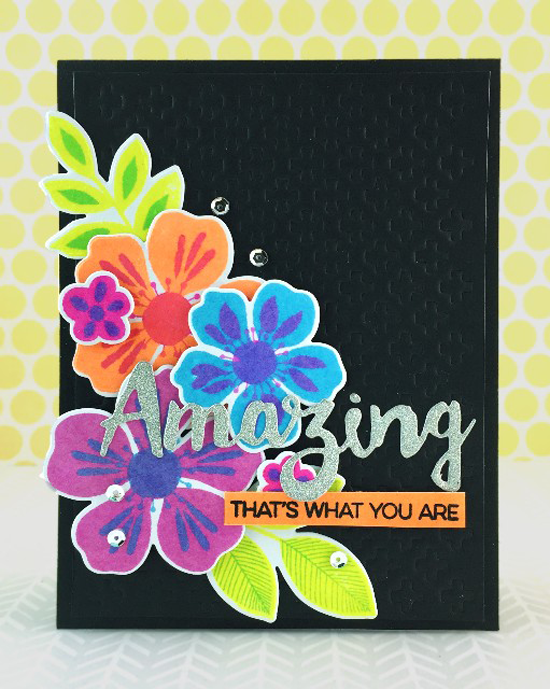 Vibrant flowers from the Flashy Florals stamp set set against black with the addition of silver sparkle make this card rife for spotting! I just love the quirkiness of this design from Keiko! 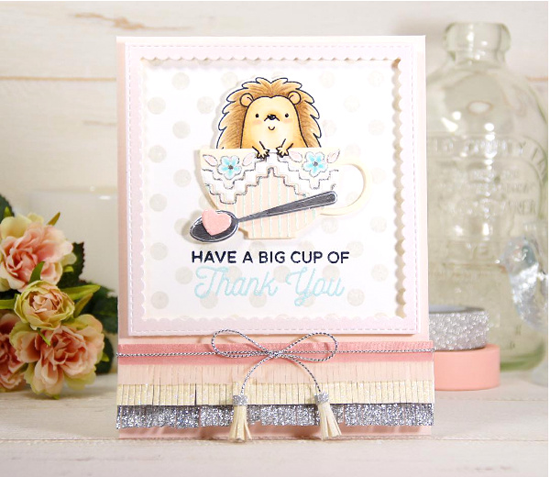 This card was entry 376 for our Card Design Superstar Contest, and she had a lot of fun making adorable tassels with the Mini Fringe Die-namics, and her Happy Hedgehog in a tea cup is pretty inspired! Margarita's pretty card was entry 242 for our Card Design Superstar Contest. 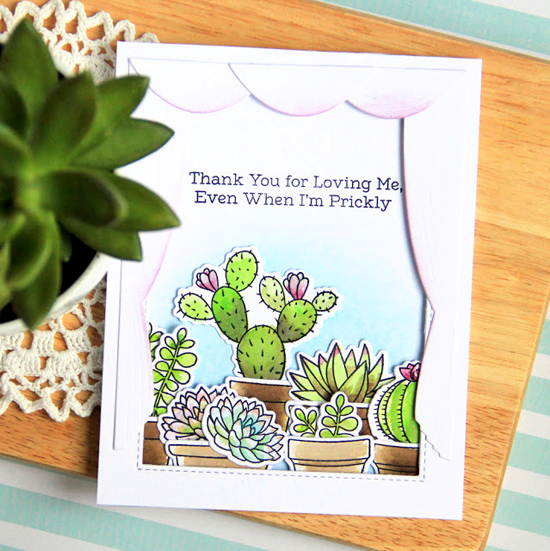 I love how she's featured our Sweet Succulents stamp set as if they are seen through a window. Creative Team Member Joy Taylor spotted Therese's design while looking through entries for the Card Design Superstar Contest. 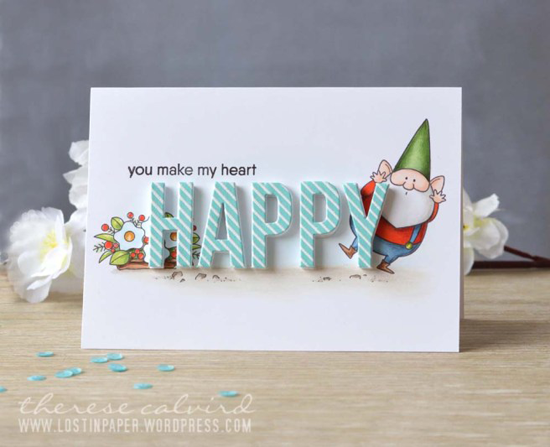 Joy says, "Love this card from Therese — so stinkin' cute... love in every way!" Yep, gnomes make my heart happy, for sure! Thanks for using MFT, ladies! You've left us inspired, and that's what it's all about! See you tomorrow for another great Sketch Challenge, and look for the next MFT Color Challenge next Thursday, October 13th. Ohhhh, Thanks! What an honor to be spotted here! I'm so excited to be spotted, LOVE MFT! Congratulations ladies, all af the cards are beautiful.